Javier Torres Maldonado is a composer and teacher who combines both functions in a very high-profile career. He is Tenure Professor of electroacoustic composition at the Conservatory of Parma, Italy and gives every year regular masterclasses and seminars in different prestigious institutions in the both sides of the Atlantic. He has received four consecutive times (2007, 2009, 2011 and 2013) the "Commande d'État" by the French Ministry of Culture and an international array of hounours including the prizes "Da Capo" by the Brandenburger Biennale and Brandenburger Symphoniker, for his works for orchestra (2012, Germany), GRAME (Lyon, France, 2006, for his work for acoustic instruments and electronics), as well as first prizes at the competitions "Queen Elisabeth" (2004, Brussels), "Alfredo Casella" (2001, Siena), Queen "Maria Jose" (Geneva, 2000), "Ad Referendum II" (1997, Montreal, Canada), "Città di Barletta" (1997, Italy). He was the recipient of "Prix des Musiciens" by the Nouvel Ensemble Moderne (1998, Montreal) "Mozart" by Mozarteum in Salzburg (for two consecutive times, 1999 and 2001), "Ibermusicas-Iberescena" (2013, Spain and Latin American countries, for "Rostros de humo", work in partnership with the choreographer Jaciel Neri), among others. He was the composer nominated to the “Catedra Manuel de Falla” (Spain, 2015) and in 2016 he has been nominated as composer in residence at the National Center of the Arts in Mexico City (project: new work for the Arditti Quartet and Jake Arditti -countertenor-, commissioned by Irvine Arditti with funds of Ibermusicas). 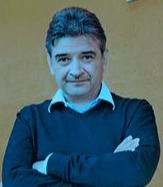 Torres Maldonado has created different works as composer in residence, collaborating with important European institutes for acoustics and music research as GRAME (National Center for Musical Creation) of Lyon, France, (National Center for Musical Creation) of Paris, CIRM (National Center for Musical Creation) of Nice, SCRIME of the University of Bordeaux, among others. His works are published by Suvini Zerboni (Milan) and Universal Edition (Vienna). Author of most than fifty works composed for internationally renowned performers as Ensemble Klangforum of Vienna, Arditti Quartet, Mario Caroli, Carlo Chiarappa, Pablo Márquez, Stephane Sordet, Fabrice Junger, Irvine Arditti, Pascal Contet, Hansjorg Schellenberger, Arditti Quartet (individual commission and projects specifically developed for them), Ensemble 2e2m, Nouvel Ensemble Moderne, Laboratorium Ensemble, Ensemble Orchestral Contemporain, Ensemble Sillages, San Francisco Contemporary Music Players, Divertimento Ensemble, Choeur Britten, Sigma Project Quartet, Ensemble Accroche Note, Ensemble L'instant donné, Divertimento Ensemble, Ensemble "El Perro Andaluz" of Dresden, Ensemble Tema of Karlsruhe, Ensemble Aleph, Icarus Ensemble, Trio Arbos, XelMya Ensemble of Berlin, among others. His music has been performed widely at renowned international music festivals, like Biennale of Venice, Milano Musica, MITO (Milan and Turin), in Italy; Wittener Täge für Neue Musik (WDR 3), Dresden Days of Contemporary Music, Donaueschingen Musiktage, Brandenburg Biennial, in Germany; Mozart Week (Mozarteum in Salzburg), Tiroler Festspiele Erl (two monographic concerts), Klangspuren, in Austria; Musica (Strasbourg), Extension (Paris), MANCA (Nice), Musiques en Scène (Lyon), Présences (Paris), Rendez-Vous Contemporains (Paris), in France; Semana Musical (San Sebastian), Mostra Sonora (Spain), Reina Sofia (Madrid), Festival de Alicante, in Spain; Lucerne Festival, Musique Contemporaine of Lausanne, in Switzerland; Warsaw Autumn (Polony), Akiyoshidai (Japan), Montréal – Nouvelles Musiques, in Canada; Gaudeamus Music Week (Amsterdam), in the Netherlands; Focus! Festival (New York), Festival Internacional Cervantino (Mexico), amongst others. His discography includes two monographic CDs produced by Stradivarius (Milan) and ALAMUSE (La muse en circuit, Paris) as well as other productions all worldwide distributed. After studying violin and composition at the National Conservatory of Mexico (1982-1994), he obtained a "diploma" in composition at the Conservatory of Milan (1999) under the guidance of Sandro Gorli and Alessandro Solbiati. He completed his postgraduate studies with honours with Franco Donatoni and Azio Corghi at the National Academy of Santa Cecilia and Accademia Chigiana of Siena, among other institutions. In 2003 he obtained the First Prize in composition at the Conservatory of Strasbourg under the guidance of Ivan Fedele. As active participant in composition seminars he studied with Gyorgy Ligeti and other composers. He studied electroacoustic composition at the Conservatory of Milan (1999-2003) and at IRCAM (2003). Until September 2018 Javier Torres Maldonado will working in an electro-acoustic piece for 60th anniversary of the Mozarteum’s Electronic Music Studio, commissioned by this institution. Although he left Mexico in 1996 after an invitation of Franco Donatoni to study with him, he continues to be involved in the artistic and academic life of his country, collaborating with different educational institutions as composer and visiting professor, indeed he is internationally recognized as one of the most representative composers of the Mexican avant-garde music. He also promotes international exchanges between European, Mexican and international institutions, as well between musicians and artists.